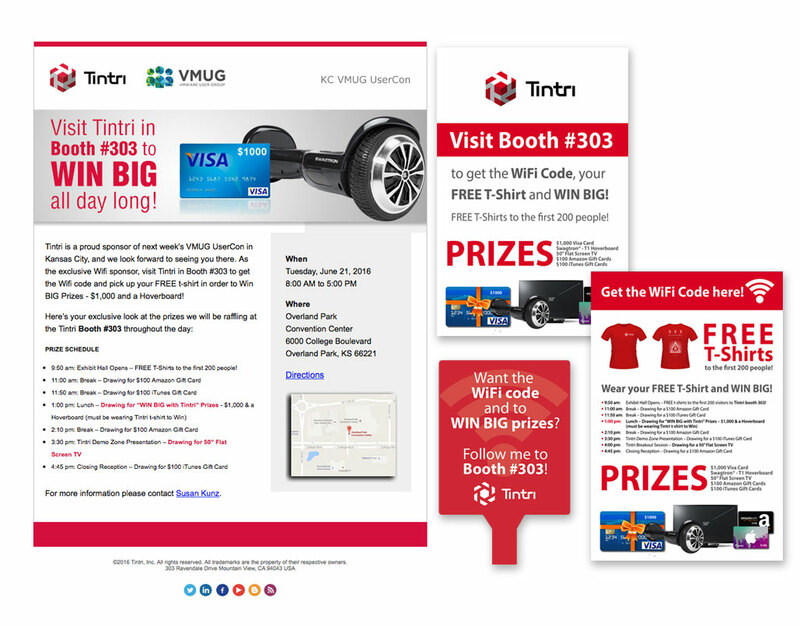 Tintri wanted to make a huge impact, generate leads and leave a lasting impression on attendees at an industry event. They chose Epic to design t-shirts, signage, invitations, handouts and event materials to assure the days success. 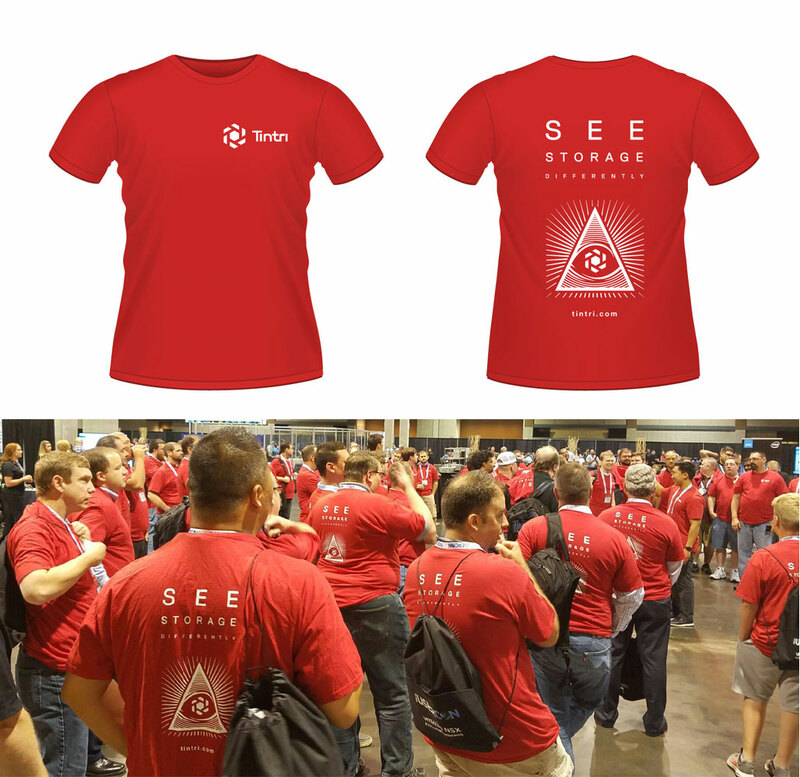 We designed signage to drive event attendees to the Tintri booth. At the booth, attendees were given a t-shirt they needed in order to win prizes. The event was flooded with a sea of people in the red t-shirts and attendees were absolutely engaged throughout the day.